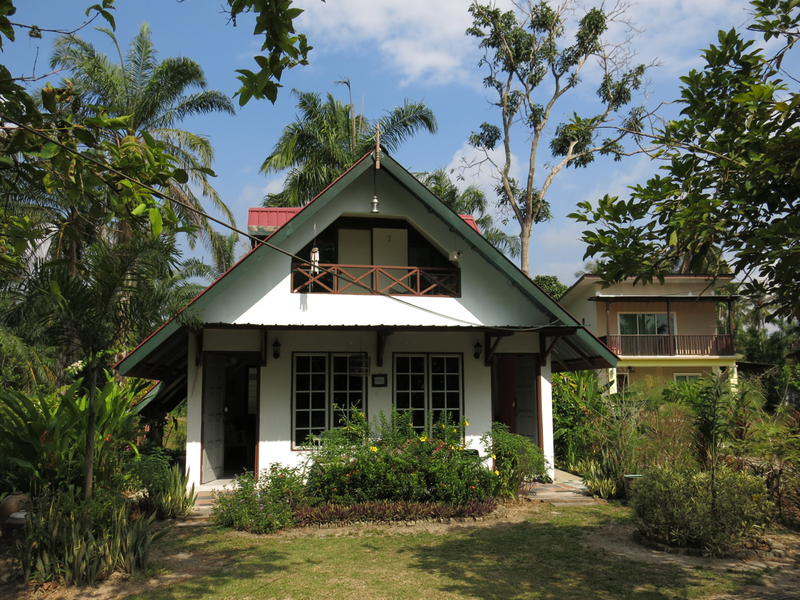 Offering a slice of kampung life, Pinang Sari Homestay is located in the idyllic rice bowl district of Selangor’s Sabak Bernam, just over 2 hours outside of Kuala Lumpur. 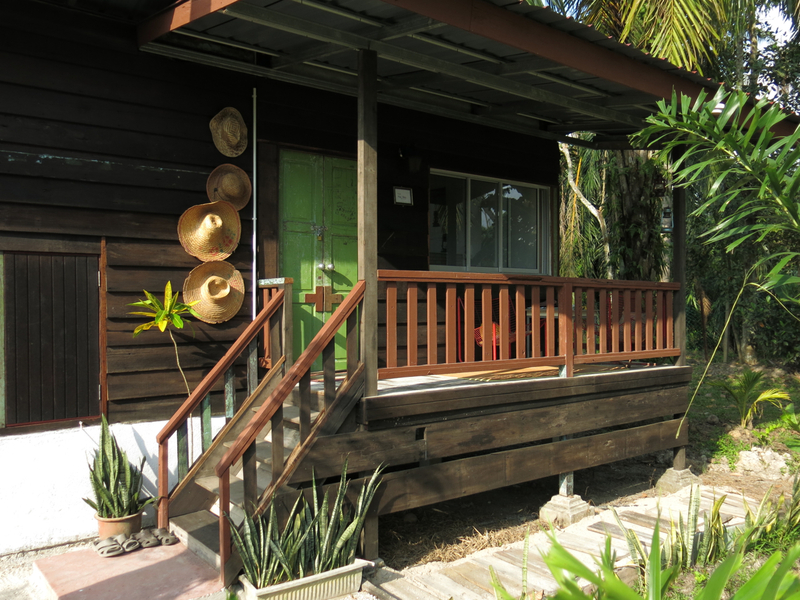 As its doesn’t have a website and has yet to be listed on AirBnb, it’s appearance on Pokok Kelapa is something of an exclusive. Yay! My visit is all thanks to a personal invitation from Sariah, who I’ve known for yonks now. 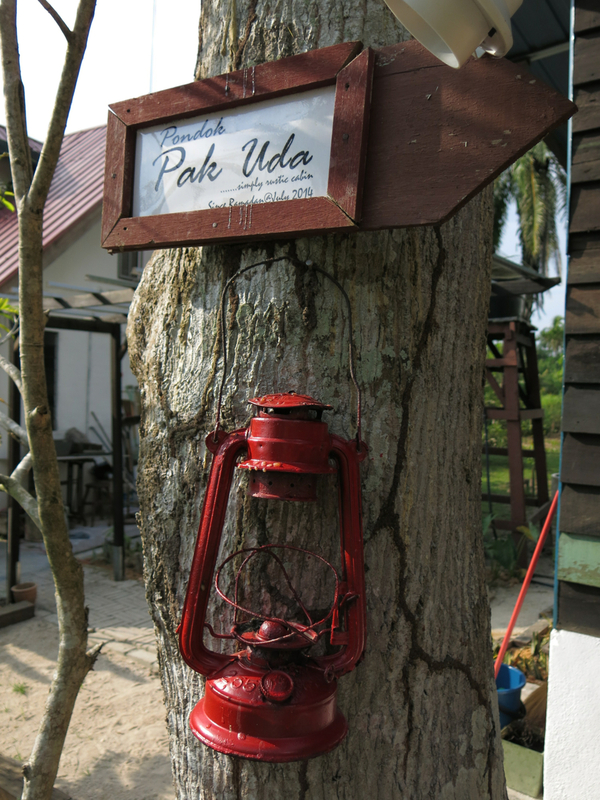 Overlooking postcard perfect padi fields and in operation for about 2 years, Pinang Sari has evolved organically, evolving over time and steadily gaining popularity through word of mouth. 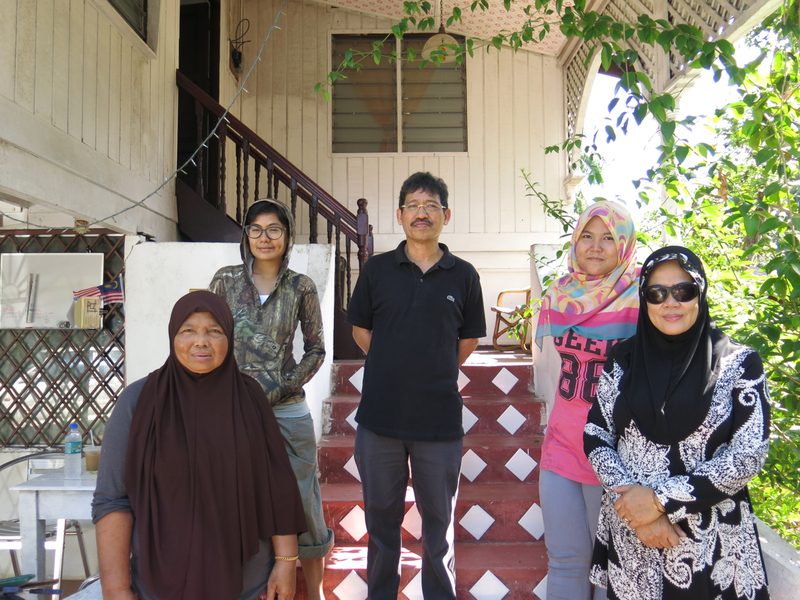 Once the family home of Puan Noriah, Sariah’s mum, Sariah’s mum’s side of the family relocated here from Perak when Puan Noriah was a teenager. 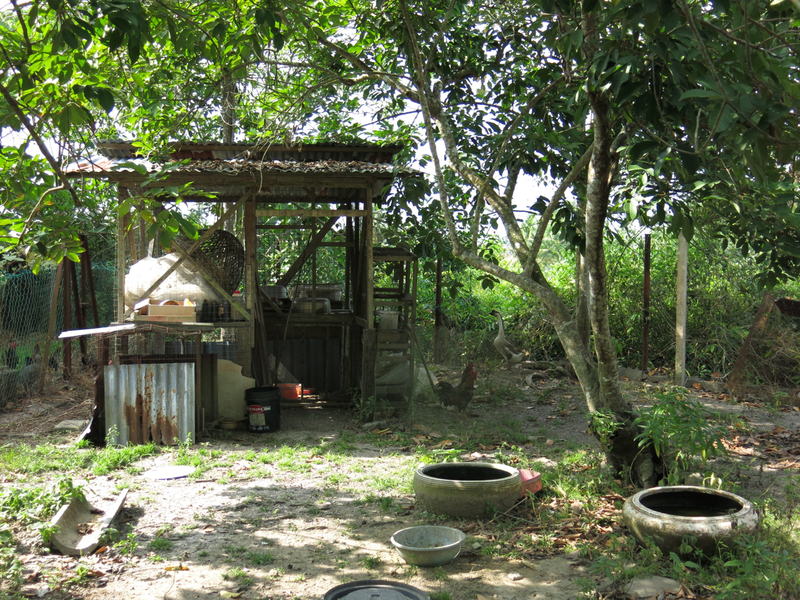 Typical of Malay kampung houses, the grounds are considerable in size so it’s not to hard to find somewhere to kick back, fire up the barbecue or star spot at night. 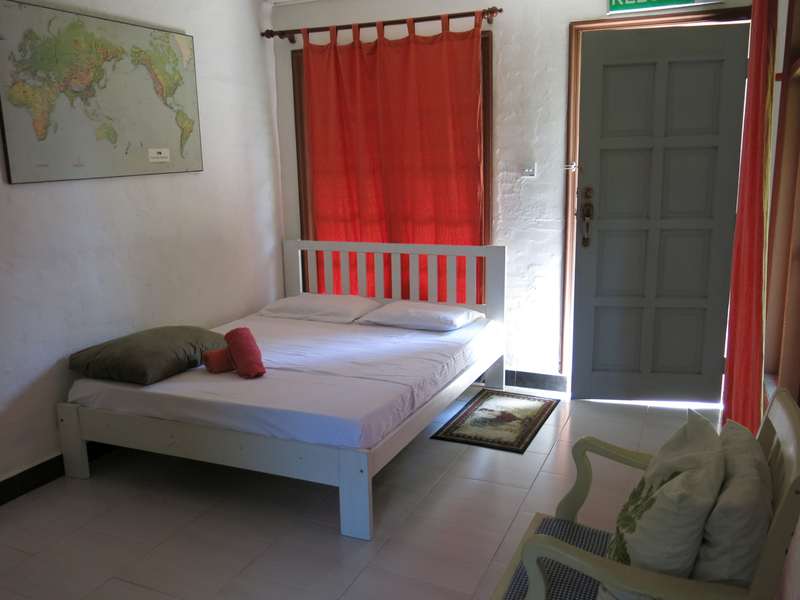 Pinang Sari has three accommodation options, each named after a different family member. 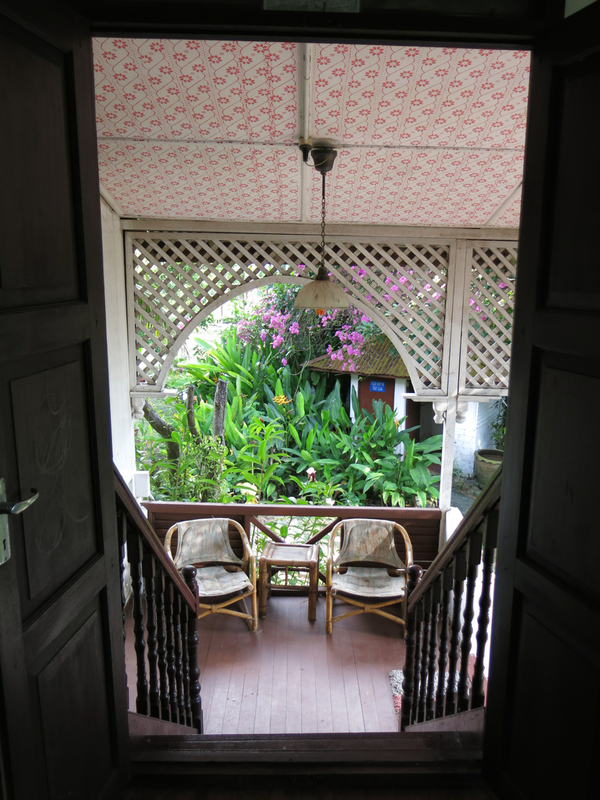 Rumah Mak Long (pictured above) has three rooms and can accommodate up to 6 persons in total, two persons in each of the adjoining rooms downstairs and two upstairs. 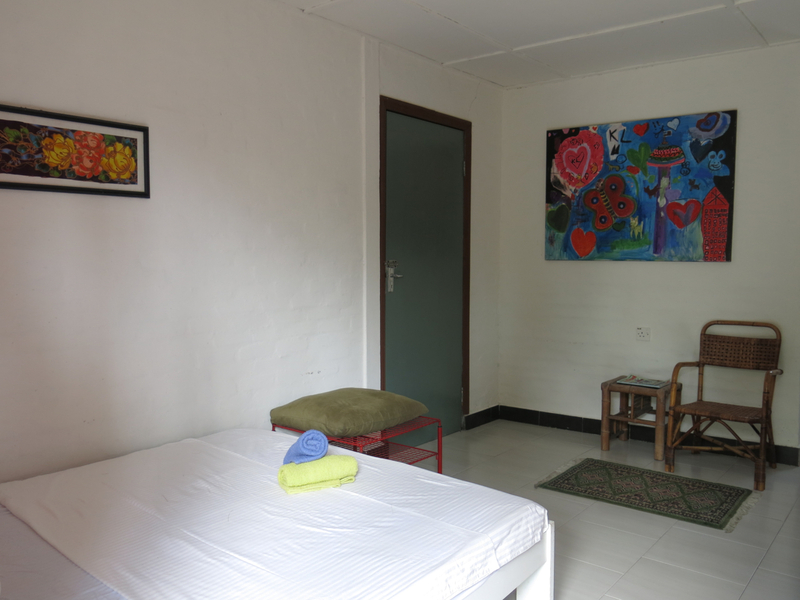 Each of the rooms downstairs comes with its own bathroom consisting of shower, sink, and toilet, but don’t expect running hot water. Not a big deal really as a cold refreshing shower is perfect for Malaysia’s searingly hot muggy weather. 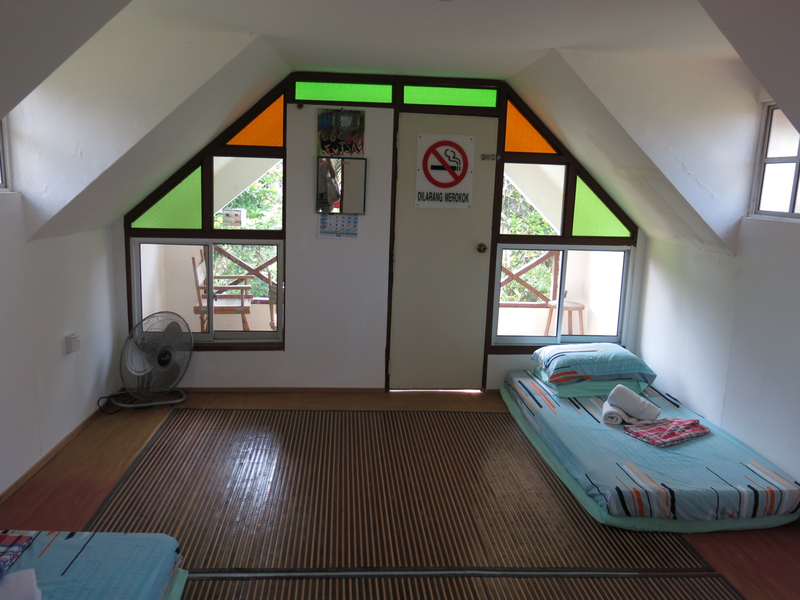 Each room has two lovely large windows so there’s plenty of natural light and a fan to keep the temperature down in the afternoons and the mosquitos off throughout the night. 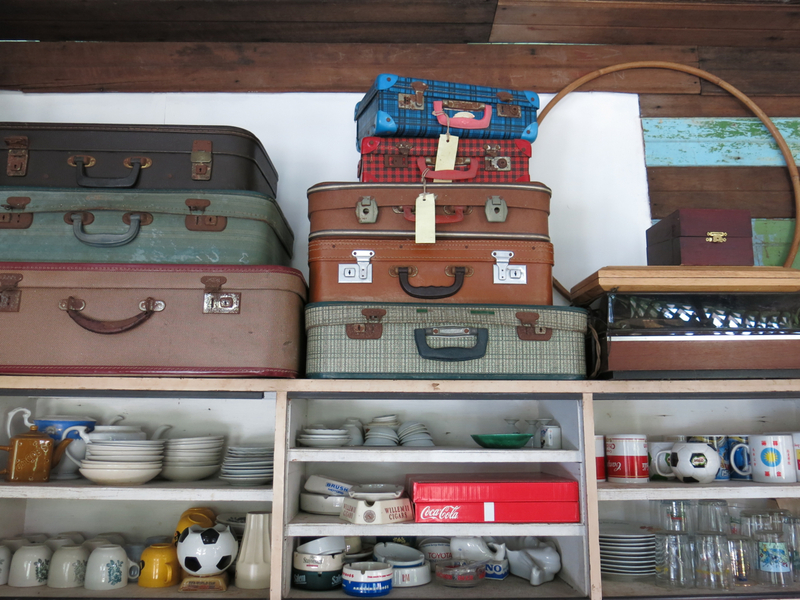 You also get two fresh laundered towels, soap and a toothbrush – just in case you forgot your own. 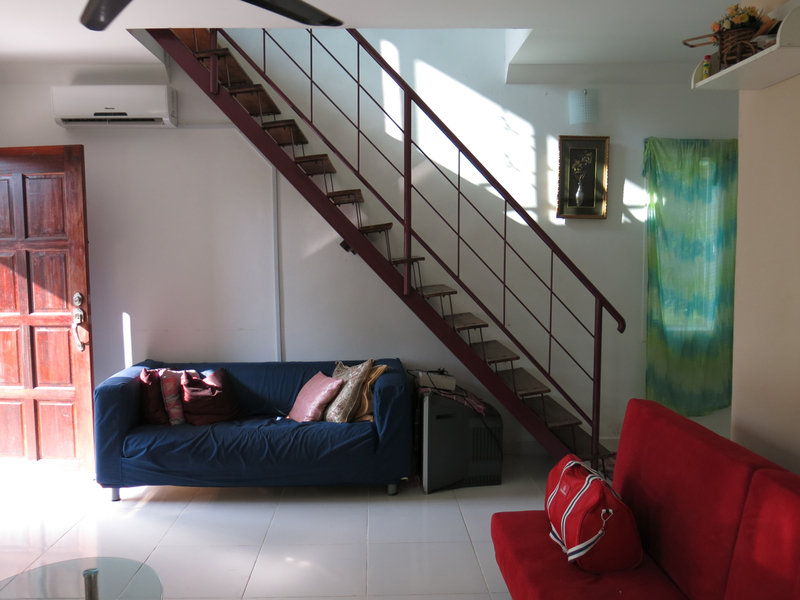 The upstairs unit, with two futon-style single beds, has a small balcony overlooking the garden and its own separate staircase entrance around back. There’s no attached bathroom so if nature calls you’ll have to nip downstairs to the nearby outdoor shower and toilet. Unfortunately I forgot to photograph the outdoor facilities. Sorry…. 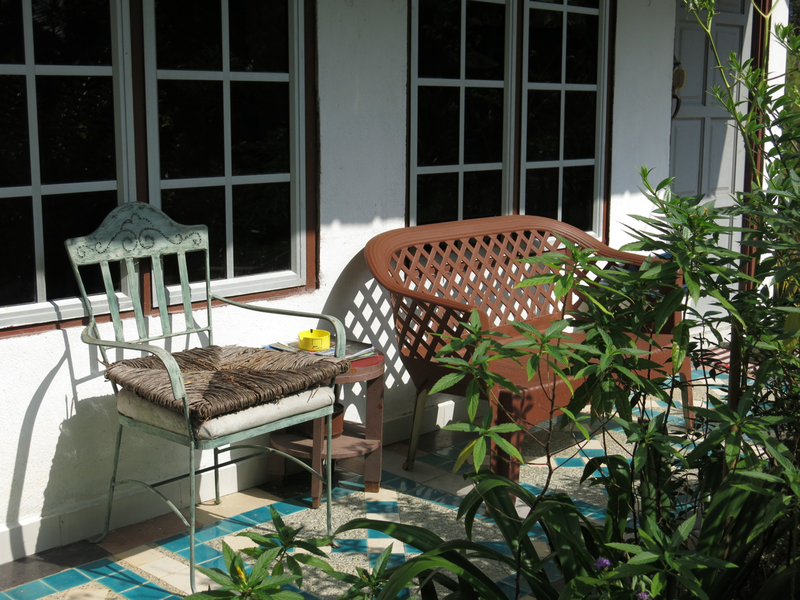 Rumah Mak Long’s verandah faces the garden and makes for a great spot to sit and read a book or watch the local birdlife. If you’re perceptive enough you might even spot a shrew – those furry critters are fast! 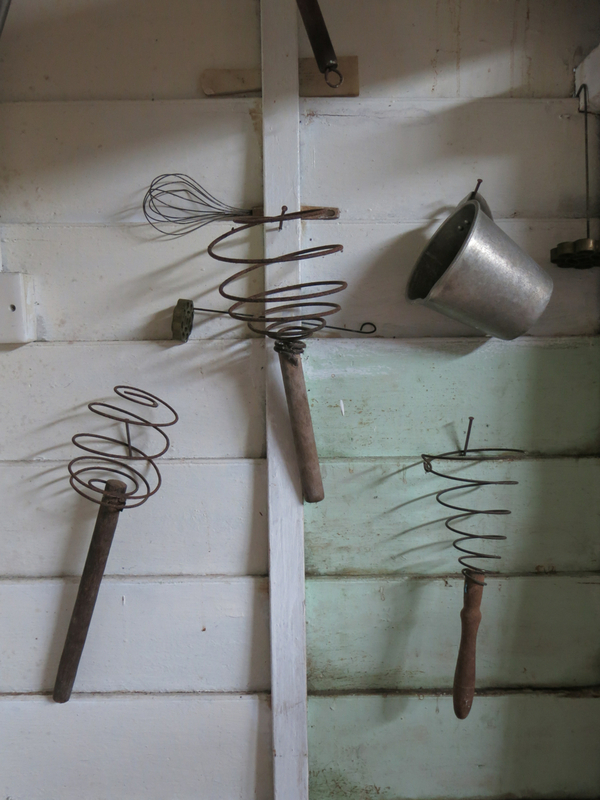 Children will love the small onsite farm. Chickens, geese and a Guinea fowl freely roam the compound. I find the sounds of nature comforting, but if you don’t fancy going to sleep to the sounding of honking geese or being woken up by an overly enthusiastic cockerel, bring a set of earplugs. 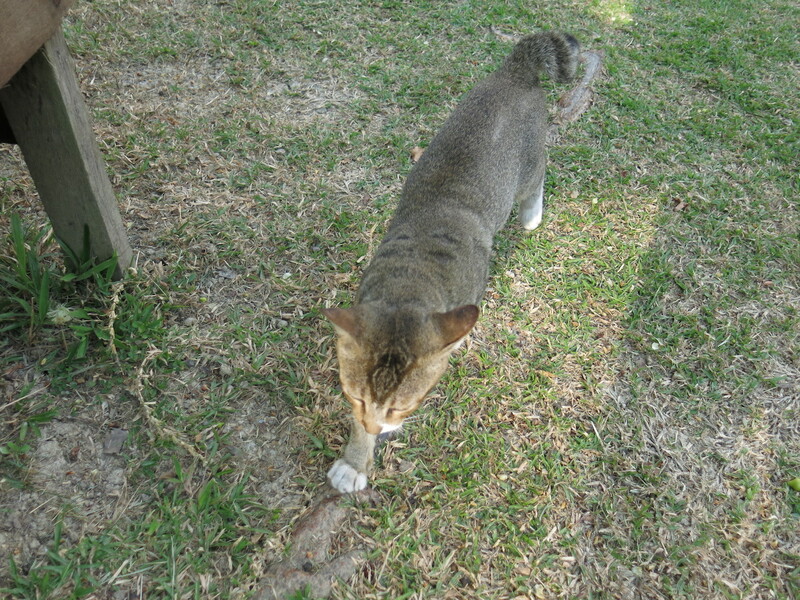 Pinang Sari is also home to some resident cats, including the friendly and perpetually hungry Mr Stubbs. Directly behind Rumah Mak Long is Pondok Pak Uda, which is still under construction and expected to be completed after Chinese New Year. Designed with “the writer” in mind, namely anyone seeking solitude and inspiration, it is easily my favourite unit of the lot. 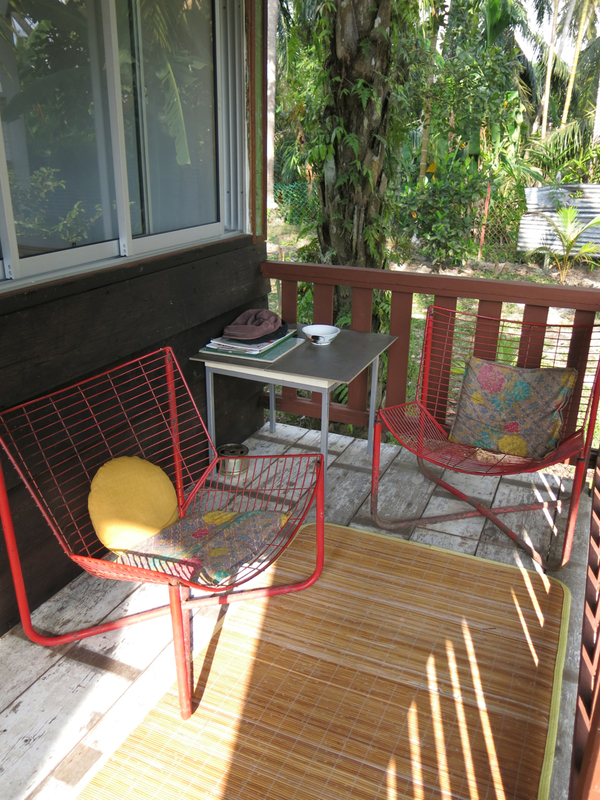 When completed it will have a small bedroom, attached bathroom and kitchen, and this lovely verandah pictured below. Nice! 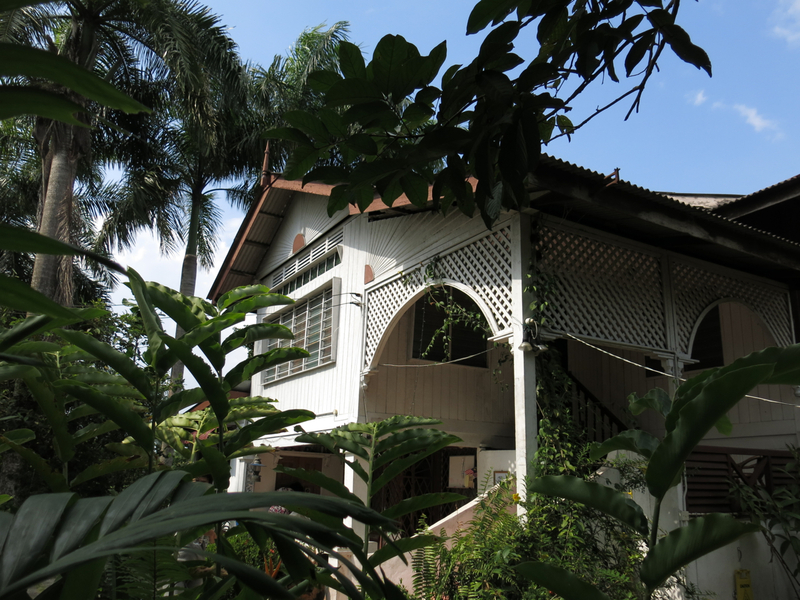 The largest of the three units, Rumah Tetamu Pak Atan looks deceptively small from the outside. 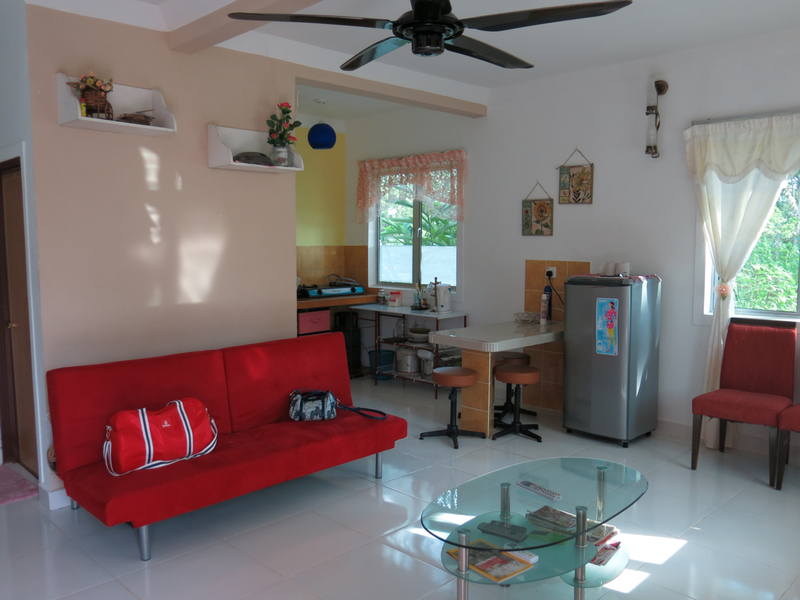 Built for families, it comes replete with most mod cons – tv, air-conditioning in all rooms and a fully-equipped kitchen. The wall behind the couch hides the downstairs bathroom. The stairs are quite steep so mind your step, especially coming down. 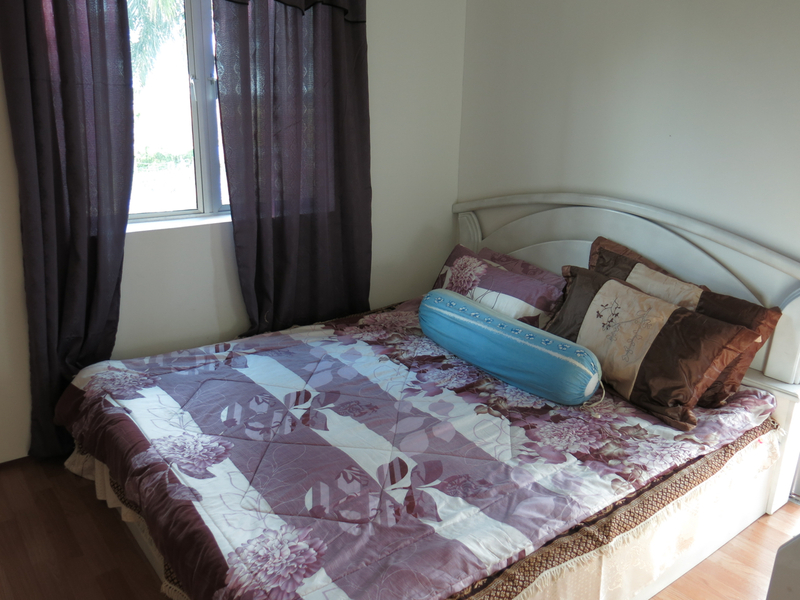 There are three bedrooms upstairs: a master bedroom with a queen size bed and attached private bathroom, and two single bedrooms with shared attached bathroom. There’s also a landing area and small balcony. 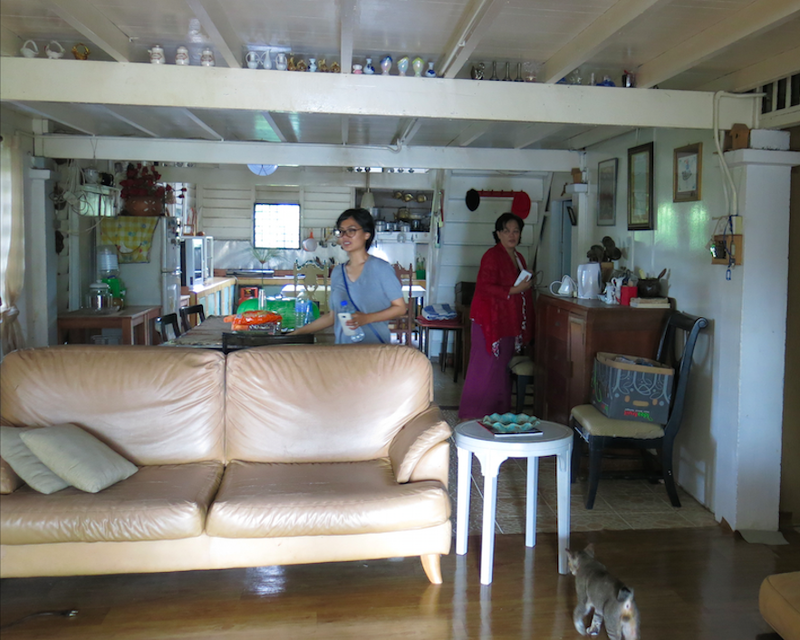 Returning to the main house, which is built on stilts, it features a living room and three bedrooms before leading down again into the kitchen and bathroom area in the rear. 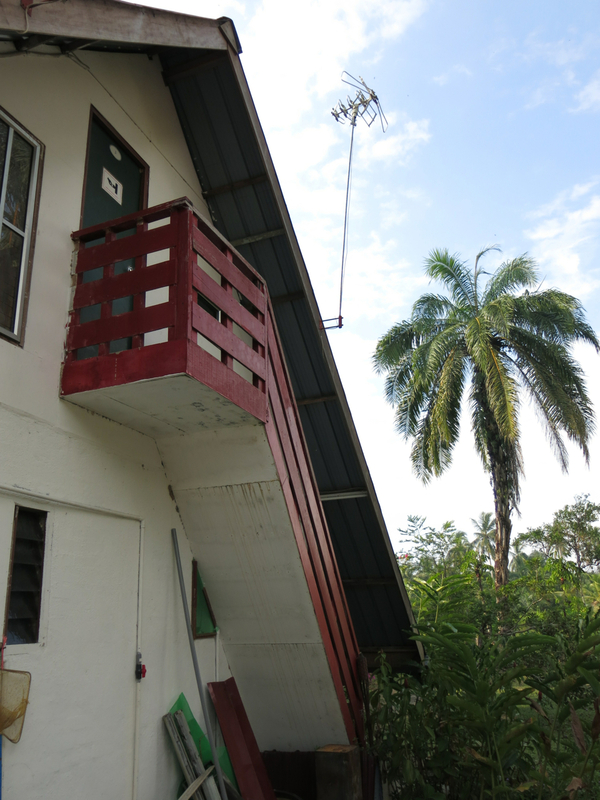 A common feature of traditional Malay architecture, stilts would have had the dual purpose of 1. encouraging airflow underneath the house to keep it cool, and 2. keeping the living area of the house free from rising flood waters. Flooding in an area that is flat, low lying, and within close proximity to a river or waterway, like Sabak Bernam, is a very real possibility during rainy season, so this makes complete sense. 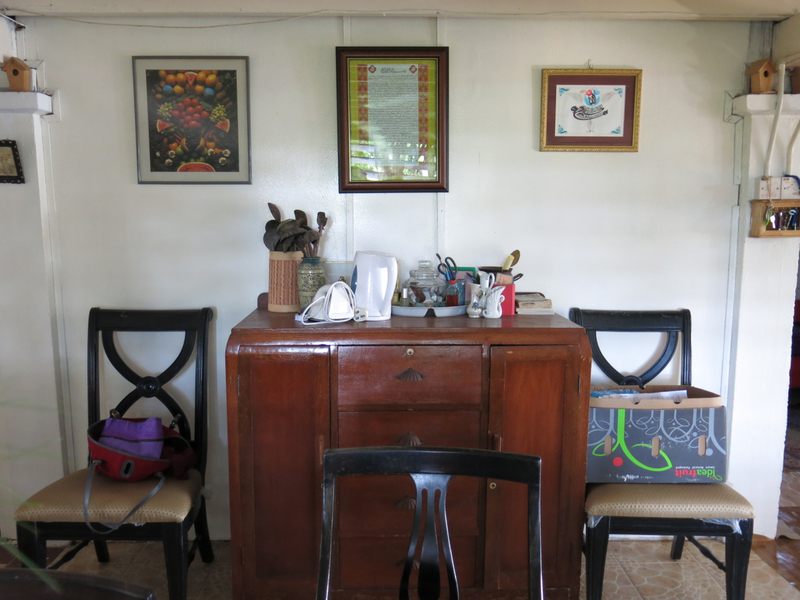 However as you can see the main house has since been modified and now has an additional living and dining room underneath the original family homestead. 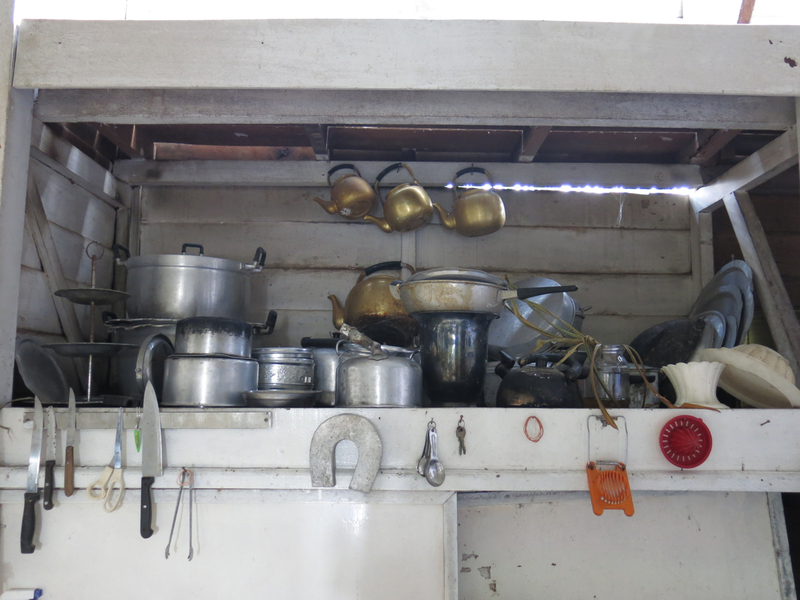 Although the main family house is not available for rent, guests can use the kitchen area, which is utterly charming and features some still functional vintage cooking utensils. 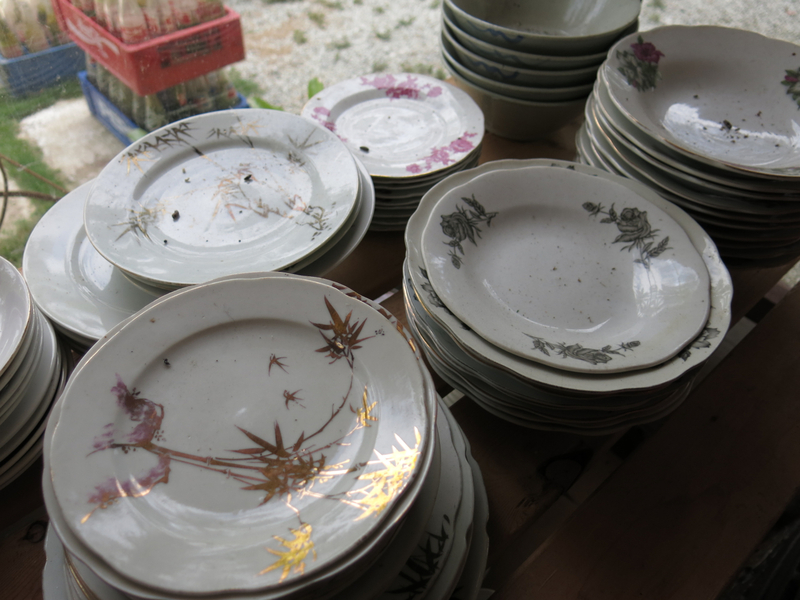 Unique to Pinang Sari, the homestay has a treasure-trove of antique and vintage items for sale in its ‘Junk Garage”. After rummaging through countless dusty boxes and sifting through piles of items stacked against the walls, I picked up an old Guinness sign with coat hooks for my bedroom for RM175. 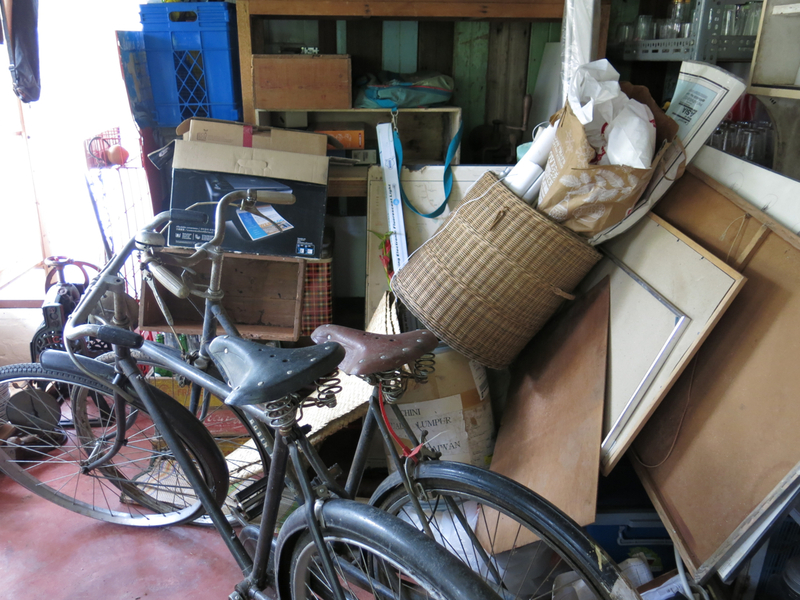 It needs a bit of work but I reckon the American Pickers would be proud! Sariah’s family travelled to Pinang Sari from the city especially to take care of us, which was really lovely. It was a joy to spend time with them especially as Sariah’s been friend for over a decade now. If you’re lucky you’ll get to meet them when you visit, otherwise Pinang Sari caretakers Baby and her mother Mak Munah, will be there to welcome you, help you plan activities (check out what we got up to during our stay), and with advanced notice and at a small extra charge, whip up a home cooked meal for you. 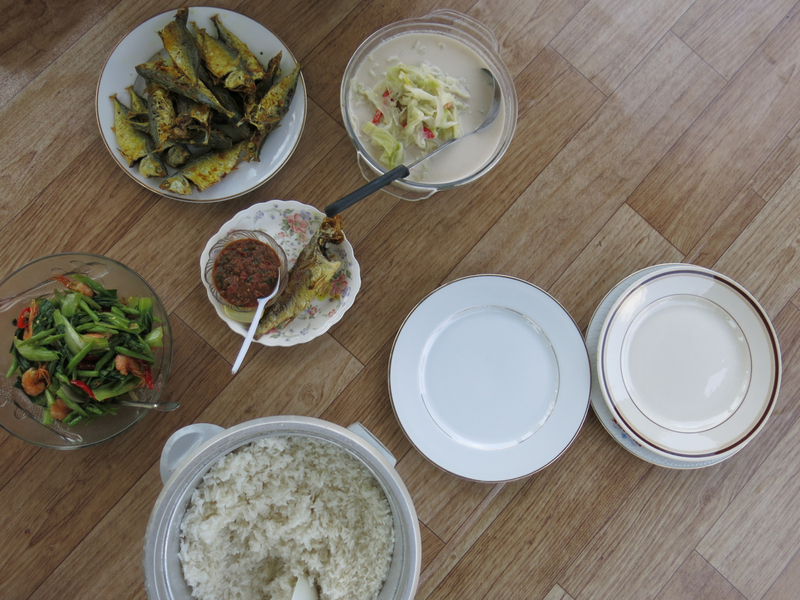 This is what we had for lunch on the lanai in the garden on Sunday prior to leaving: cabbage in a coconut curry, stir fried greens with prawns, fried fish and sambal, with rice. Delish! If you’re driving there’s sufficient space at the front of the house to park your vehicle. The family are also working on building a separate entrance and carpark area for visitors next to the Junk Garage. 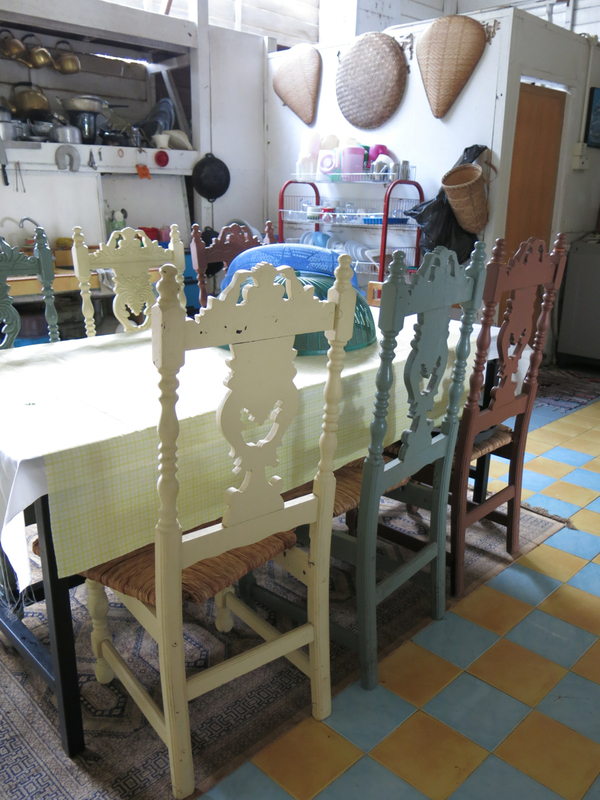 Pinang Sari is very much a work in progress. 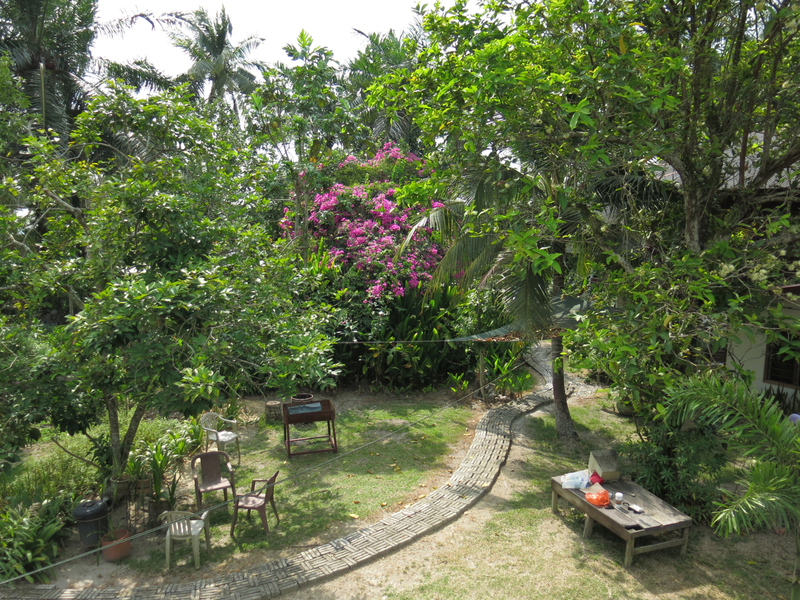 In addition to the completion of Pondok Pak Uda, plans are afoot to replant the herb and vegetable garden, create a grassy area for performances and events (like weddings and other celebrations), and install a small pool. The family are also enthusiastic about customer feedback and are already preparing to install mini-friedges in the rooms on our suggestion. Add-ons You can check out some of the activities that were arranged for us during our stay at Pinang Sari here. 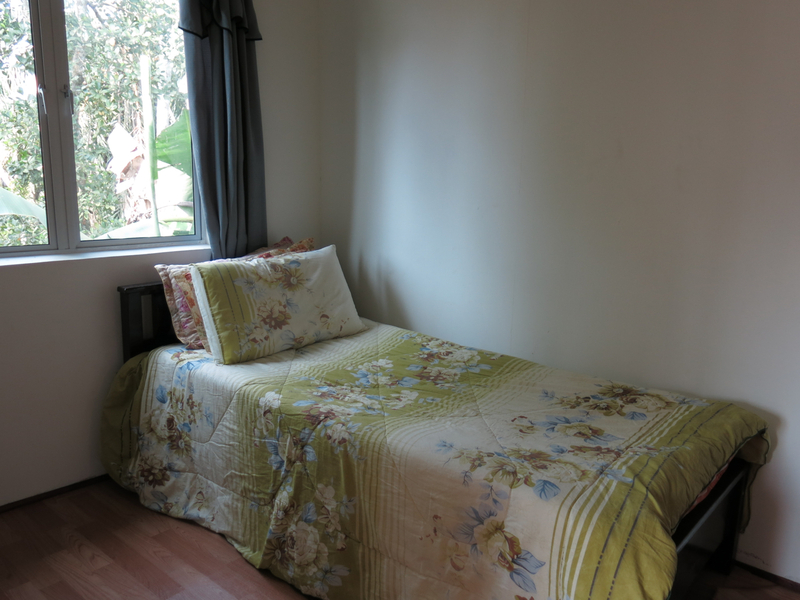 Other add-ons will include in-room Malay massage and kampung cuisine cooking classes. 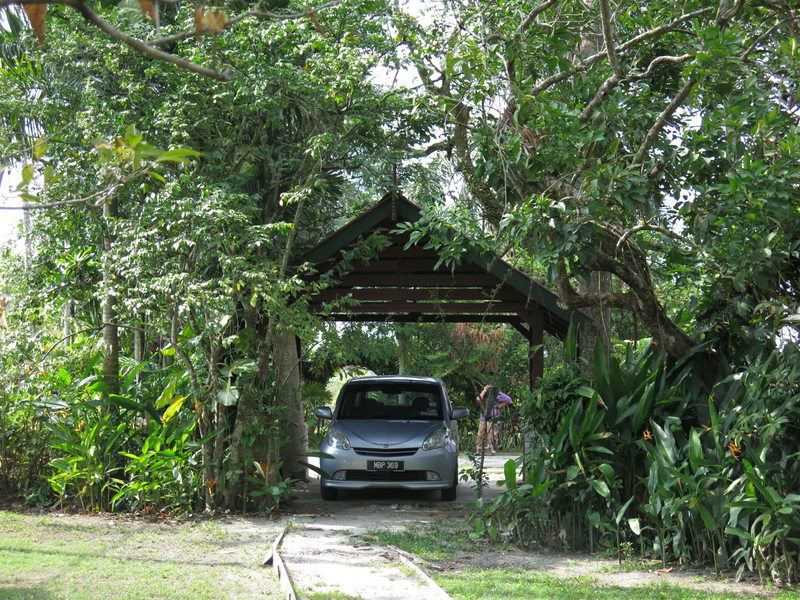 How to get there Sungai Besar in Sabak Bernam is the closest town to Kampung Bagan Terap where the Pinang Sari Homestay is located. 120km outside of KL, estimated travel time by car is around 2 to 2 1/2 hours. You can get there using the E1 North-South Highway crossing into Perak before cutting down towards the coast. Take aim for Sabak Bernam. After exiting the E1, the route through villages and past palm oil plantations and several conservation areas is quiet but long. It’s also poorly lit so I wouldn’t recommend taking it at night. Alternately take the E25 Latar Highway to Kuala Selangor then drive up Highway 5 through Tanjung Karang, Sekinchan and Pasir Panjang. Will appeal to anyone seeking an authentic Malaysian experience; city slickers looking for a simple, no-frills exit from the capital; nostalgic souls who want an easy to reach kampung to balik kampung to. Just imagine Pinang Sari during the muslim Ramadhan and Syawal months lit up by oil candles and fairy lights! 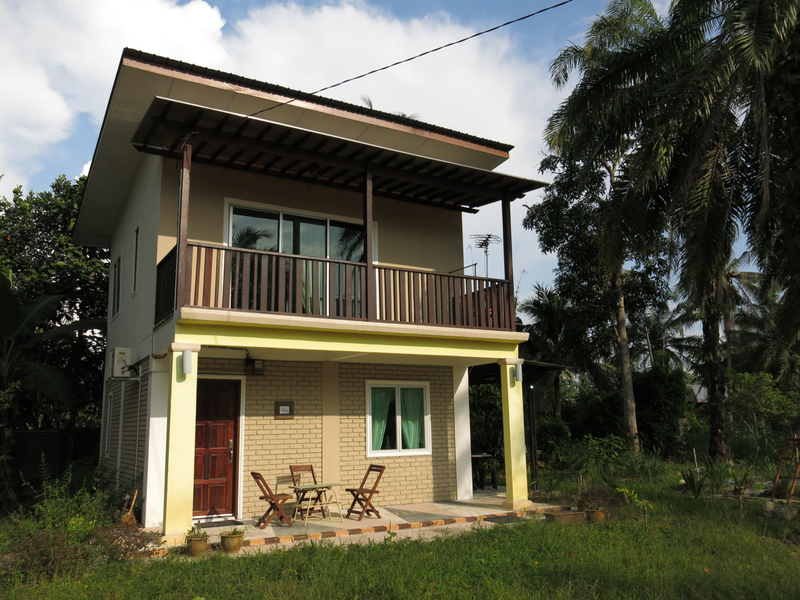 Rates Rumah Mak Long RM180/night; Rumah Tetamu Pak Atan RM250/night; Pondok Pak Uda tbc. Contact details For queries and reservations, contact Puan Noriah at 010 254 3038.